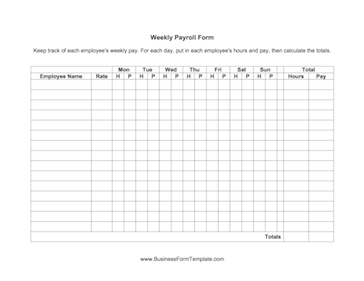 This Weekly Payroll Form Template has space for you to record the hours worked and pay for each employee for an entire week. Keep track of each employee's weekly pay. For each day, put in each employee's hours and pay, then calculate the totals.